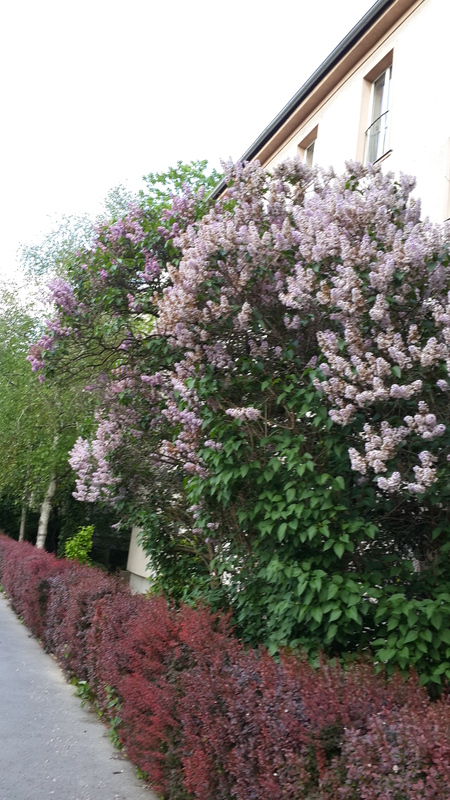 Strolling through the streets of Vienna at this time of the year is a good opportunity to admire lilacs and chestnuts in bloom. 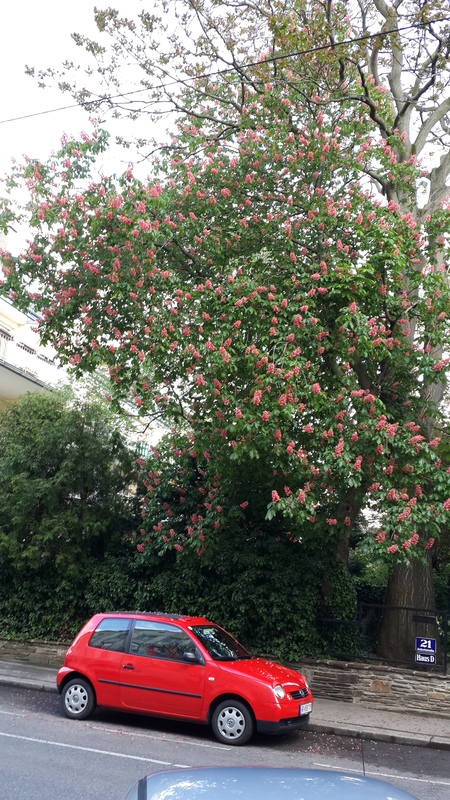 A note for the (happily) increasing number of readers of this blog from countries outside the temperate zone: the nuts that grow on these trees in the autumn are not edible. 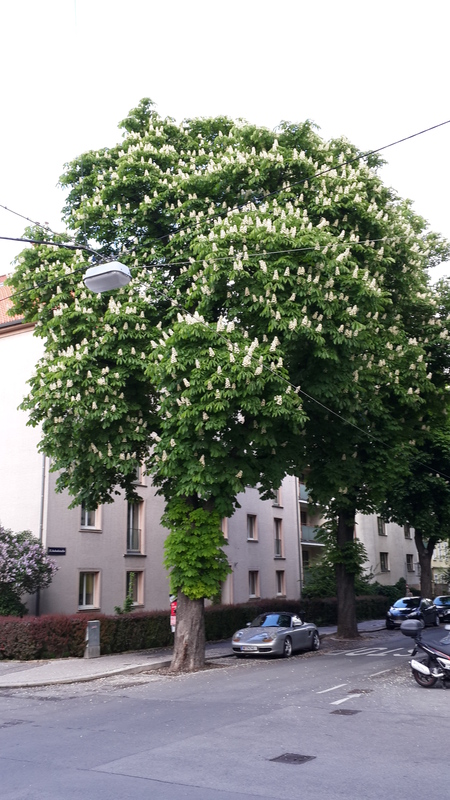 These trees are properly called Aesculus Hippocastum, also known as horse chestnuts, and not even remotely related genetically to those that produce the edible variety. Edible chestnuts, though similar in appearance to horse chestnuts, grow on several species of trees that belong to the beech family. Incidentally, while checking the background for the above, I came across an image for what is reputedly the largest tree in the world (in terms of girth, not height). 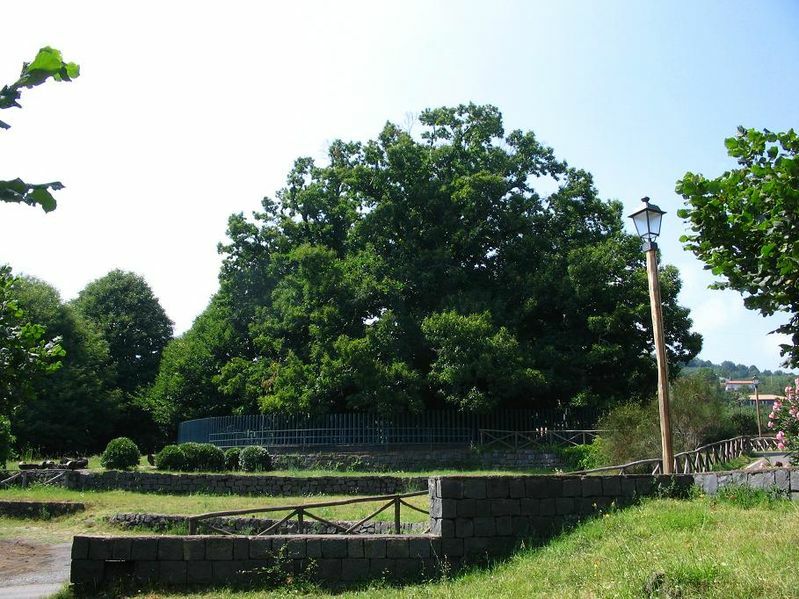 It is a sweet (edible) chestnut tree called the Hundred Horse Chestnut, estimated to be 4000 years old, located near Mount Etna in Sicily. Its multiple trunks have a circumference of nearly 200 feet (60 meters). There are conflicting claims as which exactly is, or was, the world’s tallest tree, but as a species, the tallest four are the Redwoods and Douglas Firs of California and Oregon, closely followed by Eucalyptus, Sitka Spruce and Giant Sequoia. Apart from the tallest Australian Eucaplytus, all the other top four are found on the west coast of the United States. By aviottjohn in Uncategorized on April 27, 2014 .